It happened in ancient times that a slave named Androcles escaped from his master and fled into the forest, and he wandered there for a long time until he was weary. Just then he heard a lion near him moaning and groaning and at times roaring terribly. And when he tried to get up, there he saw the lion coming towards him. Instead of attacking him it kept on moaning and groaning and looking at Androcles, who saw that the lion was holding out his right paw, which was covered with blood and very much swollen. Looking more closely at it, Androcles saw a great big thorn pressed into the paw, which was the cause of all the lion’s trouble. Plucking up courage, he seized hold of the thorn and drew it out of the lion’s paw, who roared with pain when the thorn came out, but soon after found such relief from it that he rubbed up against Androcles, and showed that he knew, that he was truly thankful for being relieved from such pain. One day, a number of soldiers came marching through the forest and found Androcles. They took him prisoner and brought him back to the town, and he was condemned to death because he had fled from his master. Now it used to be the custom to throw murderers and other criminals to the lions, and on the appointed day he was led forth into the arena. The Emperor of Rome was in the royal box that day and gave the signal for the lion to come out and attack Androcles. But when it came out of its cage and got near Androcles, what do you think it did? Instead of jumping upon him, it rubbed up against him, and stroked him with its paw. It was of course the lion which Androcles had met in the forest. The Emperor summoned Androcles to him. So Androcles told the Emperor all that had happened to him and how the lion was showing gratitude for his having relieved it of the thorn. Thereupon, the emperor pardoned Androcles and ordered his master to set him free, while the lion was taken back into the forest and let loose to enjoy freedom once more. I like your story !!!!!!!!!!!!!!!!!!!!!!!!!!!!!!!!!! What means malakas? ?You are Greek?? I like the story but it was ok great !!!!!!!!!!!!!!!!!!!!!!!!!!!!!!!!!!!!!!!!!!!!!!!!!!!!! I haven’t her this story but it was very fun story. Hello Sheryl – Good idea – we will do some more Aesop stories – they are rather brief but very popular. Hope to see more of the Aseop stories then……..
Hiii i agree and lovve it ???????? CAN U GIVE ME SOME INFO ON WHEN THE ASEOP STORIES ARE COMING OUT ON STORYNORY???? Blablabla! I am Sueryl I ask quetions! 🙂 🙂 And I act like i know Bertie!! blablabla!! Blablabla! I am Sueryl I ask quetions! 🙂 And I act like i know Bertie!! blablabla!! This is truly not me who wrote it!! Something is really wrong every time that I leave a comment othrrs will use my name and speak bad!!!! Please find out who is the culprit. I’m afraid I know very little about the people who leave comments – so I can say who is impersonating you! But please don’t get too upset. those people are a little stupid not to say i want to say them.it is so odvice that they want to use my name and can copy it wrongly. Please, I beg of you, more Aesop Fables. Hi Bertie guess what? My name is Bertie too!! And i think your friend Sheryl is awsome!!! Tell me, what is aseop stories are??? I mean what difference do they make compere to the other ones??? has a name no one has so i do not belive that bertie has a copycat! and pls daon’t use mmy na,me 4 no resond!!! !to all those who like to make fun of peeople when writing comments!!! ahhhhhhhhh! i gots a weird face! this is a nice & a big stoy!!!!!!!!!!!!!!!!!!!!!!!!!!!!!!!!!!!!!!!!!!!!!!!!!!!!!!!!!! this story is alright but i dont think that would really happen and i tink it very long and i rather the tortoise and the hare. I LIKE PIE! I really enjoyed this story and the message it conveys. Wow! what a great and a funny story….Ha ha ha!!!!!!!!! We learned that What goes around comes around. I relly loved the asop fable. May you please put some more asop fables on storynory.com. Really pleased that you liked Androcles. We will be doing more Aesop, probably before end of the year, but in the meantime have you heard these four Aesop stories? I liked the part where the lion becomes a hero and the part whan the men was brave. Thanks, Storynory. We enjoyed this story very much. All our class students had a good time listening to this story. Bye. this story is boring stop it. Why do you say boring ? It was coooooooooooooooooooool !!!!!!!!!!!!!!!!!!!!!!!!!!!!!!!!!!!!!!!!!!!!!!!!! that this story needs a bit more detail and needs to be longer, like why did Androcles run away, was he being mistreated by his master? If he was how, or how did he get captured or how did he feel in the cave with the lion, like come, I know you people can do better than this. I think you must give more full stops in yer story..
E OMFG I WANNA READ THIS STORY MORE!!!!!!!! i think it was a very good story and i like how the lion and slave get a good relashon ship and it is good the slave doesent get eaten. I liked the story because Natasha read the ending was really cool. I like the story but it was long. lolli.i never read it but its cool! I liked the story.well, i guess i finished my homework.Cause this suppose to be social studies homework. Aesop’s fables always teach lessons and I like that, but I think they ought to have more details. Well-done! I am going to use it with a lesson on cats for my Pathfinders Club. I thought that this story/book is very interesting for young children. that is one incredibel tale!!!!!!!!!!!!!!!!!!!!!!!!!!!!!!!!!!!!!!!!!!!!!!!!!!!!!!!!!!!!!! I liked the moral of the story and i haven´t heard this before. Good to know though. can you select tales very short? I’m improving my english and I need little story. Have you a agreable voice! congratulations! This is not quite an exciting story. It would be better if had more adventures. iv’e learnt fables at school but not that one so its nice to hear a new one! 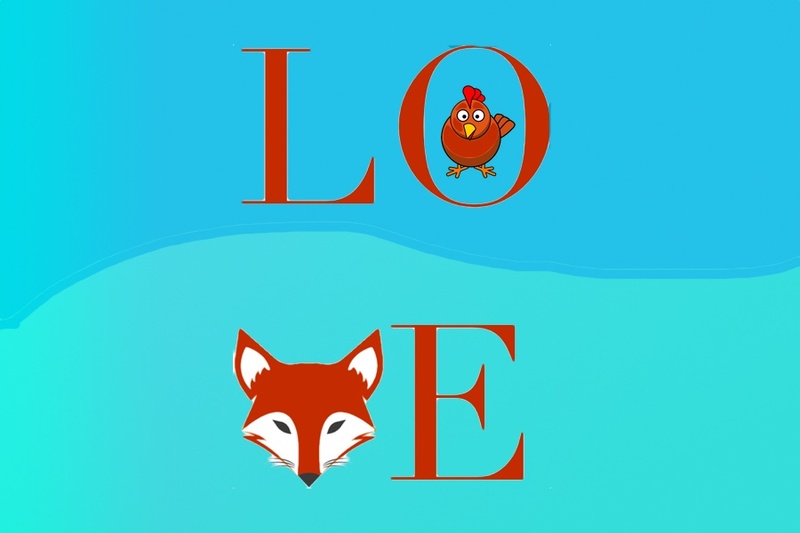 Like to read more about it………..
Andrcles is a wonderful story which my children enjoyed a lot. I loved the story. Its great! I liked it to listen to it. It was fun. I LIKED THE MOUSE IN THE STORY.I THOUGH THAT IT WAS A GOOD STORY. I LOVED THAT STORY. It is very good and interesting. I told my kids about Androcles and the Lion and they were so fascinated that they kept an eye out for it at the library at their school. A few days later, they came home from school with the book! They were so excited when they brought it home, it was weeded from the collection at the library and that meant that they got to keep it in their collection at home! They love the idea of such a big lion being kind and gentle to someone. They love the story so much. I like the story..it’s nice…read again….bye….. It brought me back to my school days 72 yrs ago when I first had this story read to me by my 3nd grade teacher. What I loved about it and still do is the story taught gratitude and faithfulness in loyalty. Good message for everyone. It was like meeting a good friend once again. later, they came home from school with the book! They were so excited when they brought it home, it was weeded from the collection at the library and that meant that they got to keep it in their collection at home! They love the idea of such a big lion being kind and gentle to someone. They love the story so much. it was very interesting and not in the least monotonous!!!!!!!! if this story was on a scale from 1-10 it would be 100,000,000,000!!!!!!!!!!!!!!!!! I am going to do a play about Androcles and the lion at the middle school at LongBranch at New Jersey. It was interesting. I hope you give more stories like this. I have to do an assignment on moral stories and I will use this as one of my two!!!!!!!!!!!!!!!!!!! Loved the story! Very nice! Thank you. We can all learn a lot from this story of kindness. I read this to my class today! They loved it! We have enjoyed learning about Grece! 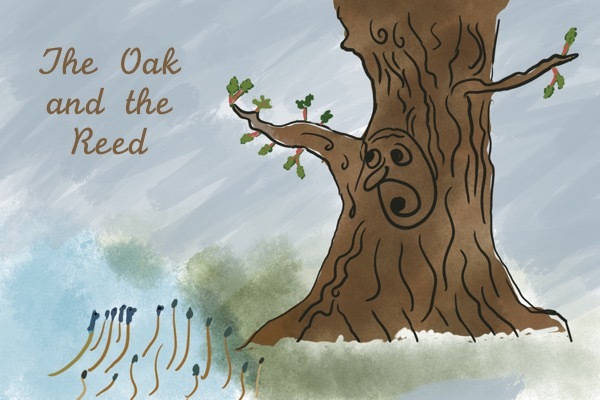 Well-narrated fable about gratitude, freedom, and nobility. I liked the story very much! Thank you! Dear Erica we are planning to do a story from Ghana in the Autumn Glad you liked this one ! 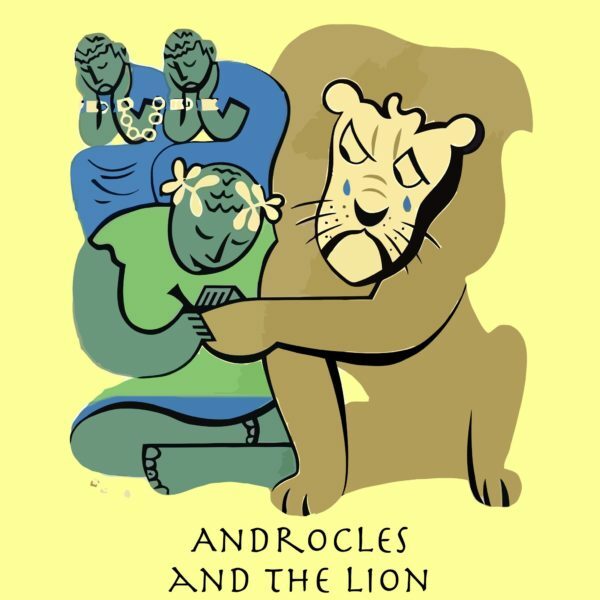 The story of Androcles is splendid. I like very much to humanize of animal world becouse i love the animals. A gratitude is characterised of them. Most striking examles can be brought in case of dogs and horses, about their devotion to the human beings. Thank you for excellent story. That’s great for you. Its always helpful to act the characters in stories. We also have Greek Myths like Dido & Anaes that come in the form of a play, which you can act out at School or a local venue where you can do theatre. This was really helpful for my school homwork.I heard it being read over and over again.so decriptive and it wsa soo good i stole the website onto my homework sheet.im only 9 yrs and so far this stoty has helped me through the whole year! pleases read it it is such a good story! I love this story thank you. Super I had this story for hmework.But this is isway better. Another great story you should try is Stone Soup. i LOVED THIS STORY AND THE READING OF IT. I WOULD LIKE TO READ THE STORY AND LISTEN AT THE SAME TIME. HOW DO I DO THAT? It is a beatiful story.I LOVE IT! I read this story many years ago and have used it over and over in the classes I teach to demonstrate that kindness will be rewarded. Both the Lion and Androcles were kind at one point…and they were both rewarded. I did it in school once. It’s one of my favorite tales; EVER! it was so usefull as i needed it for homework and i loved the story. I HAVE’NT HEARD THIS STORY BEFORE BUT THIS IS REALLY INTERESTING. IF SOMEONE HEAR THIS,THAT PERSON WILL BE VERY SURPRISING. Yay! I love this. Storynory is great. Hello 🙂 Thank you for this wonderful story . I choose this story to be the piece of my pupil… In story telling competition. And he won 🙂 .. This was a good book!!!!!!!!!!!!!!!!!!!!!!!!!! it is a bit ssssssssssssssssssssssssshhhhhhhhhhhhhhhhhhhooooooooooooooooorrrrrrrrrrrrrrrrrrrrrrrrrttttttttttttttttttttttttttttt!!!!!!!!!!!!!!!!!!!!!!!!!!!!!!!!!!!!!!!!!!!!!!!!!!!!!!!!!!!!!!!!!!! Thanks for telling this story Natasha !! I did love this story very much. I recommend this story to all my friends. please keep doing this noble work for us. Thanks! I was wandering if you could do some more Vietnamese and Japaneses stories. I really enjoy reading it and I think I read all the Vietnamese and Japaneses stories. It will b great if you did that for me! I liked the lion in the story.I did not like the emperpor. I think he did make the right choice. What I liked is it was great and kinda weird What I didnt like about it is that it was short very short I think the emporer made a great decsision to send Andorlces Free. I think it is awesome because the loin shown its behavior . that was one of the best storys I have ever heard that was awesome. YOUR COMMENT WAS AWESOME YOU TOLD SOMTHING THAT YOU LIKED ABOUT THE STORY. i liked how androcles ran free from the jail and he was free. i did not like how androcles kills the lions. i liked how the eperor let the lions free. I HAD LIKED THE STORY BECAUSE THAT ANDROCKLES HAD HELPED THE LION TO GET THE SPLINNTER OUT OF HIS PAW BUT THE PART THAT I DID NOT LIKE WAS WHEN HE HAD ALMOST DIED BY THE EMPEROR.BUT THE EMPEROR HAD MADE THE RIGHT CHOOSE BECAUSE AT THE END HE HAD LET THE LION GO. the pact I like it is the lion give the food to androcles. i like when the lion did not hurt Androcles. i think they emperor made they right decision at the end . because they let Androcles free. I liked the part when the lion did not harm the guy.The part that I did not like was where a solider took him as a prisoner.i liked the ending of the story where it got really interesting. what I liked about this story is when the king was surprised when the lion did not eat Androcles. I did not really like when he ran away from the lion. I think the emperor made a good idea for relicing him because people should be free. hi i am will and i like the book. i did not like the win the soldiers got him. I like this about story because he went back to the forest for freedom. I did not like about this story was the lion was really bad hart. because he set them free. I loved your story my favorite part was when Androcles took the thorn out of the lions paw. I did not like the part when the master put Androcles in with the lion trying to kill him. I do not think the master should of put him in there. that the lion help him live. that the man let the lion go. yes because THAT way the lion can live his life. popping this one off the bat! this book is brilliant i loved it! Thank you for letting me read this story. It is absolutely helpful! I love these stories Bertie. They are awesome! And you are a brilliant author! And Natasha is an exellent reader! Funny, I was read this last night! This was a really interesting story! Good job! A good story with a good moral. Keep it up! I did a play once with this story! AMAZING. 1loved it to bits !!!!!!!! I like it very much. It is going to help me in live and l will tell other kids about this story. Thankyou Jade, yes do spread the word. This book is the best story ever i ever seen. I like and love it. the story is just good and nice. moral’s missing……but the story is LOVELY……………………. AWESOME best book ever I love it ✋?✋?✋?✋?✋?✋?????????????????????????????????????? I love this story because it gives so much details and I could imagine the story in my head very well! I really loved it ????????????❤❤❤❤???????????????? i am 8 and i loved it!!!!!!!!!!!!!!!!!!!!!!!!!!!!!!!!!!!!!!!!!!!!!!!!!!!!!!!!!!!!!!!!!!!!!!!!!!!!!!!!!!!!!!!!!!!!!!!!!!!!!!!!!!!!!!!!!!!!!!!!!!!!!!!!!!!!!!!!!!!!!!!!!!!!!!!!!!!!!!!!!!!!!!!!!!!!!!!!!!!!!!!!!!!!!!!!!!!!!!!!!!!!!!!!!!!!!!!!!!!!!!!!!!!!!!!!!!!!!!!!!!!!!!!!!!!!!!!!!!!!!!!!!!!!!!!!!!!!!!!!!!!!!!!!!!!!!!!!!!!!!!!!!!!!!!!!!!!!!!!!!!!!!!!!!!!!!!!!!!!!!!!!!!!!!!!!!!!!!!!!!!!!!!!!!!!!!!!!!!!!!!!!!!!!!!!!!!!!!!!!!!!!!!!!!!!!!!!!!!!!!!!!!!!!!!!!!!!!!!!!!!!!!!!!!!!!!!!!!!!!!!!!!!!!!!!!!!!!!!!!!!!!!!!!!!!!!!!!!!!!!!!!!!!!!!!!!!!!!!!!!!!!!!!!!!!!!!!!!!!!!!!!!!!!!!!!!!!!!!!!!!!!!!!!!!!!!!!!!!!!!!!!!!!!!!!!!!!!!!!!!!!!!!!!!!!!!!!!!!!!!!!!!!!!!!!!!!!!!!!!!!!!!!!!!!!!!!!!!!!!!!!!!!!!!!!!!!!!!!!!!!!!!!!!!!!!!!!!!!!!!!!!!!!!!!!!!!!!!!!!!!!!!!!!!!!!!!! Great narration! This story is great! Thanks to: Storynory! Love everything about it! XD ??? WHAT A GREAT STORY! !!!!! This was a good story and it had a lot of twists and turns it was great! I had read this interesting story in my 8th standard in 1976. Thanks to storynory foe remembering sweet memories. nice i like it i think i have a book like that. This story is amazing ???????? I like this story because of the very good details and gratitude in the story. I really like this story …its so nice……..
Wow cool story !!!!!!!!! much cool!!!! Very love !!!!! i did not know what was going on so, i do not like this book. Lovely story , there were a few mistakes in the text but it was wonderful either way. This story needs a little more uhh ………………. fun to it that way you have fun reading. its awesome + good i know the part about the battling but the thorn in its paw i don know that. I do not like it!!! i do not understand any word in the story . 1. I like it. But 2 I don’t under stand it . 3 it’s not funny or fun to hear and read. This story as amazing, but very short. I loved it!!!!!!!!!!!!!!!!!!!!!!!!!!!!!!!!!!!!!!!!!!!!!!!!!! OMG I LOVE THIS STORY! I HAVE NEVER READ IT BEFORE BUT IT IS SO GOOD!!!!!!!!!!!!!!!!!!!!!!!!!!!!!!!!!!!!!!!!!!!!! Yes i like this story because it has great details and it is interesting. I love it. Thank you so much. Help my kids fall asleep sooner. Such a cute story! I love it! i like this story. it tell me be a brave man. I enjoy reading Aesop’s fables especially when it can be really useful for teaching material and can teach everyone a lesson. I also like the fact that this book is suitable for any age and is very enjoyable. This story was in my school reader in Scotland in about 1960 and I loved it then, and still do. Timing, I need it in my teaching. thanks so much for this. My Grandma had told me this story when we were little and forgotten the story. Thank you for uploading, I can now tell my son the story. I love it, so nice and inspiring! what changes did the characters go through of the story unfold ??????…!!!????? Thank god I saw this story cuz I need a story that where going to use in our presentation [btw I’m gr.6] so thank you!! Thankyou Cassy, good luck with your presentation! i dont like it. i need is the whole story. I very very very very love love love this STORY! This is a great book but short. I that it was sad! it was gooooooooooooooooooooooooooooooooooooooooooooooooooooooooooooooooooooooooooooooooooooooooooooooooooooooooooooooooooood loved it most ha ha ha! What is the resolution of the story? This book is so cool and a good books. It’s a beautiful short short! Thank you! I liked the story because I got to know the characters and information about them. I liked that Androcles helped the lion in the woods and in return the lion didn’t attack him in the arena. That’s what good friends do. I love Aesop.This book is awsome when i looked at the title it reminded me of the lion and the mouse. Wich is also another Aesop book. Wow. It’s a really good book. Yes, i liked this story because it was about animals and its is a fairytale witch i like fairytales. Nice story and site I Use a lot. Yes, this story was sad and depressing at the same time. ”Gratitude is the sign of a noble soul. This is a very good book and i like the descriptive language. I did like this story because the message behind was a very loving, and caring, message. I gave a perfect explanation of respect, when the lion did not attack Androcles because he had helped the lion. Thank you that was a little bit helpful.you are precious. oh lovely lion, so cute! this story was the most stupidest story ever. you shoud help other peple in need. This was extremely helpful. I would have failed my Latin project w/out it. Thanks!!!!!!!!!!!!!!!! It was a little bit harsh that a lion would be hunted. But it was good the story. Yes I liked it just please tell me the moral. It was cool it was fin. I loved it.Very intimidating yet interesting. It inspires me to do good because it will always come back. I have never heard of this story Burt I still liked it. I really, really liked this story. It was probably one of my favourite stories I’ve ever read before!!! I like fairy tales! Good story i found the theme ! It was very easy thank you very much i appreciate you. I like this story. Thanks. thank you.i needed this dor my school and i could not find it anywhere. 😍It was a very interesting story. I enjoyed it. This brought back very happy memories of my Father telling me this story! I would rate you 5 stars. Oo this is our homewprk .thankyou. i can copy it. According to my opinion it is a very inspirational story specially for animal haters. And it is also a message to hunters that if we help someone, god will surely help us or else we would approach our death soon because of our sins. Helping someone in a good and honest way pays for a sin we have committed knowingly or unknowingly. This story is very interesting and I like it! This is a very nice story. I really liked reading it. I have not heard of the story but it is a Nice story! this was the best story ever. I absolutely love that story. thanks for sharing. yes ilike your story bcoze its verry nice and moral lesson…. I actually never heard of this story and it has a nice moral of kindness. I also liked the way it was written. This is a awesome story!!!!!!!!!!! yes I did like this story. yes! its so helpful thanksss more please! Yes I liked the story and I thought that it was cool that androcles thought that he would be getting eaten by a lion but it was the lion that he met in the rain forest. So that is why I liked this story. Very interesting story it is! I like the story is very interesting. the book is full of friendship!!!!!!!!!!!!!!!!!!!!!!!!!!!!!!!!!!!!!!!!!!!!!!!!!!!!!!!!!!!!!!!!!!!!!!!!!!!!!!!!!!!!!!!!!!!!!! I will surely prefer this website for finding stories…. I love this story its the most interesting story I know. Put more effort in it will ya? I LIKE THE UNDERSTANDING BETWEEN THE ANDROCLES AND THE LION. THIS STORY IS A VERY GOOD EXAMPLE FOR SHOWING GRATITUDE….. I was wondering how can you, a frog, talk? 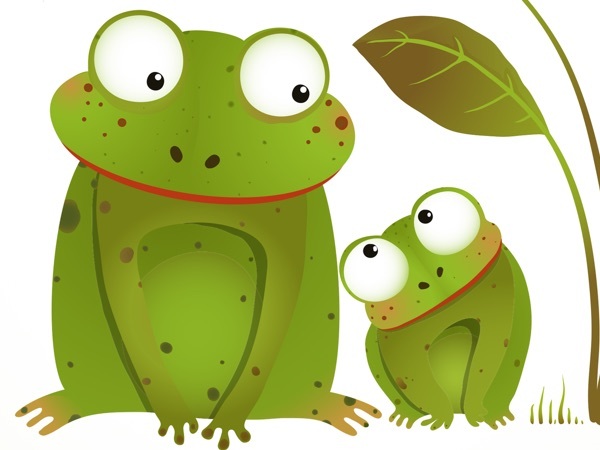 frogs don’t talk in real life so, how do you? It was a very good story. i liked how it featured a lot of creative elements! Sigh.. Now I have to explain what slavery is to my toddler. This is a very interesting story, one I think children would enjoy tremendously. i’m going to leave now. i liked it, but when I opened a different tab, it still went on. I love the story, and the message it shows. why did they let other people get killed by lions! love it but i think you should tell more about the lion. I am 80 years old. I read this story in a reader in elementary school. Today, unbidden, it came to mind but I couldn’t remember the name of the man who pulled the thorn out of the lion’s paw. I had also forgotten that it was attributed to Aesop. Delighted to find it on the internet! Great story, I have never read it until today. I like that it involves a runaway slave and a lion becoming friends. It was a very good story to me keep up the good work storynory love you guys. Thanks for sharing this story. I loved it!! oHH i Have NOTYET HEARD THIS STORY TROUGH BUT .. i have READ THE STORY I PLAN OF DAWNLOADING SOON? I HAVE HEAD OF THAT COLASIUM BUT NEVER EVER NEW A CIRCUS/ Good job bertie of chewsing this story/ oh yah and i like the inprovements you have done on the site. I love this story !!!!! !